I had my first pregnancy appointment last week at Nisseki (Red Cross) Hospital and booked in for a VBAC birth. 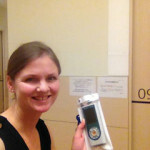 It was the first time for me to go to such a big hospital (so many people and the maternity ward was super busy! 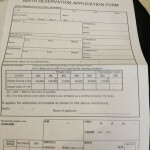 ), so here is a video and a list of steps that I went through for the appointment and birth registration. Is this your first time to Nisseki? If you have been there before, you will need to provide your registration number. Are you transferring from another hospital/clinic? If so, you will need to ask your doctor for a referral letter, which explains the scans and blood test results, your due date etc. Profile – Japanese and English versions available on the website. Download the profile, print and fill in all the sections BEFORE your appointment. 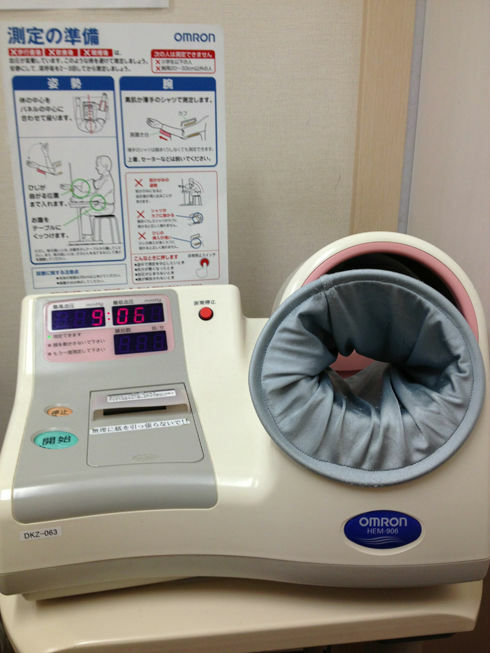 This will speed up the process when you have your appointment. Reservation number – this is a 3-digit number they will give you over the phone. 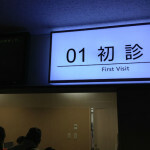 When you arrive at the hospital and go to the “First visit” counter on the 1st floor, they will ask for your name and your reservation number. 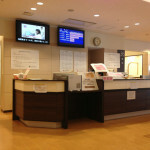 When you arrive, go to the “First visit” counter on the 1st floor. If you can’t find it (like me! 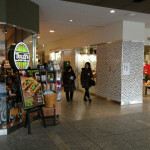 ), ask the Information Counter at the entrance and the ladies will help you. I went to this information counter about 10 times! They were very patient and friendly and showed me where to go for each step. 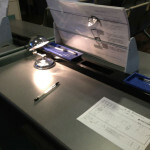 At the “First visit” counter, you will need to fill in a piece of paper with your name, address, and phone number. Give them this paper, plus your insurance card, referral letter, and your reservation number. You will need to wait about 15min (depending on how busy it is) while they process your information and make your hospital card for you. They will then give your new hospital card, plus a pink folder containing your appointment information and your referral letter. There is a special elevator that takes you directly to the Maternity Ward on the 3rd Floor. This elevator can only be used by people going to the maternity ward – there are a lot of sick people in the hospital, so they make every effort to keep the pregnant women and newborn babies separated from the rest of the hospital. 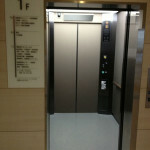 This special elevator is located around the corner from the First visit counter – of you can’t find it, ask the staff at the Information Counter. Show all your documents including your profile to the Maternity Ward front desk. 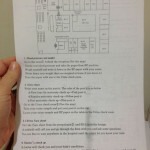 They will then give you an instruction sheet, available in both English and Japanese, explaining the next steps of your appointment. The first thing you need to do is measure your blood pressure, weight, and take urine sample. 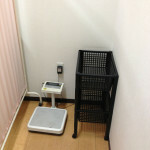 Around the corner from the front desk is a small room with 2 blood pressure machines, scales for measuring weight, and across the corridor is a toilet with window for submitting your urine sample. When you take your blood pressure (put your arm in and press the green button), a little ticket will come out of the machine with your results on it. Write your name and body weight on this ticket. 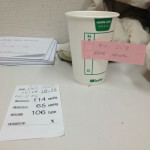 In the same room as the blood pressure machines there is a small table with urine sample cups and blue and pink post-it notes. Pink post-it notes are for “First visits”, and the blue post-it notes are for the check up after birth. If this is your first pregnancy checkup at Nisseki, write your name on the PINK post-it note, stick it on your cup, take your urine sample and put it in the window of the bathroom. 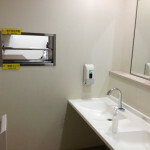 Also put your printed ticket showing your blood pressure & body weight in this window with your urine cup. You will need to wait a while until the midwife calls you for checking your documentation and your profile. You will need to wait about 2-3 hours for the doctor checkup. You would have received a pager at the First Counter when you arrived – this pager will buzz and light up when the Doctor is ready to see you. When this happens, go to the number on the screen and wait outside until the Doctor calls you in. 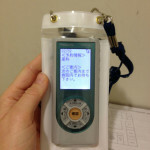 The pager is written in Japanese, so if you have any trouble just ask the staff at the maternity ward front desk for help. Give the doctor your documentation, boshi techo (Mother & Baby Health Handbook), and your yellow discount ticket (make sure you write your name and address on these yellow tickets BEFORE the appointment). If you are already 20 weeks, the midwife will measure your uterus. 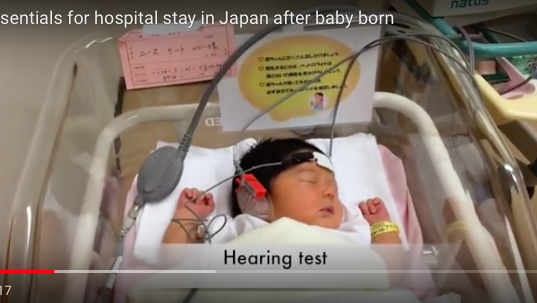 She records this information in your Boshi Techo (Mother & Baby Health Handbook). Doctor will do ultrasound scan to check your baby. This is your chance to ask the doctor all your questions and discuss your birth plan. Make sure you have all your questions prepared and written down – the doctors at Nisseki are super busy so they like to speed through the appointments. It helps if you have everything written down to make the appointment as efficient as possible. 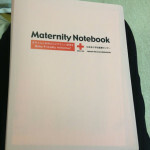 After your doctor’s appointment, your folder will be handed to the maternity ward front desk. Stay in the waiting area until they call you. 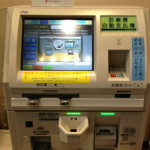 They will give you your bill and then you can go to the 1st Floor to pay at the automatic paying machines. If you can’t find them (like me), ask the Information Counter for help. I’m trying for VBAC too, at Nisseki! I saw you actually 2 weeks ago, but I was running to have my glucose test, and when I got back the doctor had already called you in I guess. I have just entered my 34th week, this will hopefully be a VBAC, my first son was delivered also at Nisseki 2 years ago by emergency c-section..we’ll see how it goes this time! Thanks for ur great website. I am moving to Tokyo and i am 30 weeks. I dont know japanese language.Is there any need for interpretation service? By the way, i will go to c section. 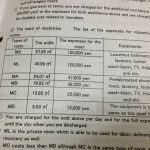 Do u still think Nisseki is the best hospital in tokyo for delivery in c section? Any better hospitals do u recommend? HI Ellie! Thanks for your message . Congratulations on your pregnancy! That’s exciting that you are moving to Tokyo. 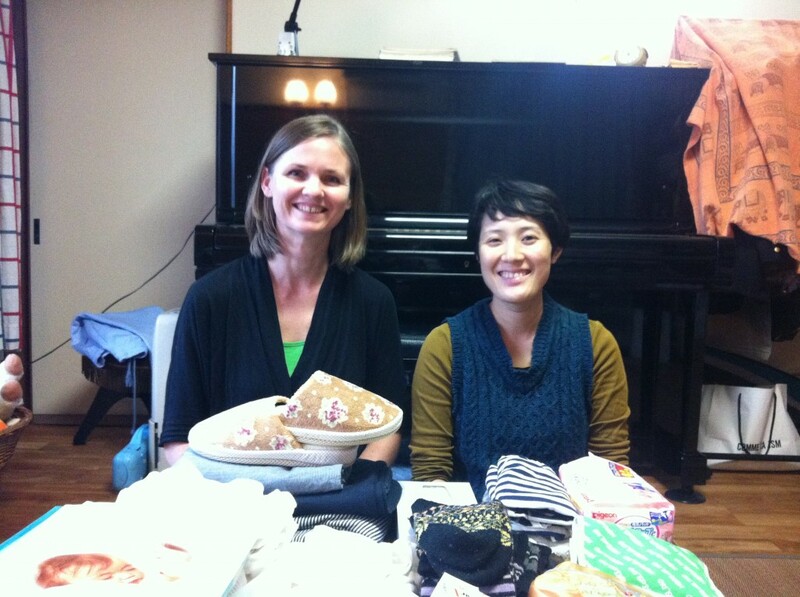 Have you seen the Tokyo Pregnancy Group? This is a fantastic group to join. 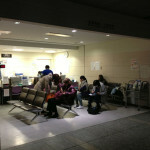 They have a page about hospitals and doctors in Tokyo (see link below). 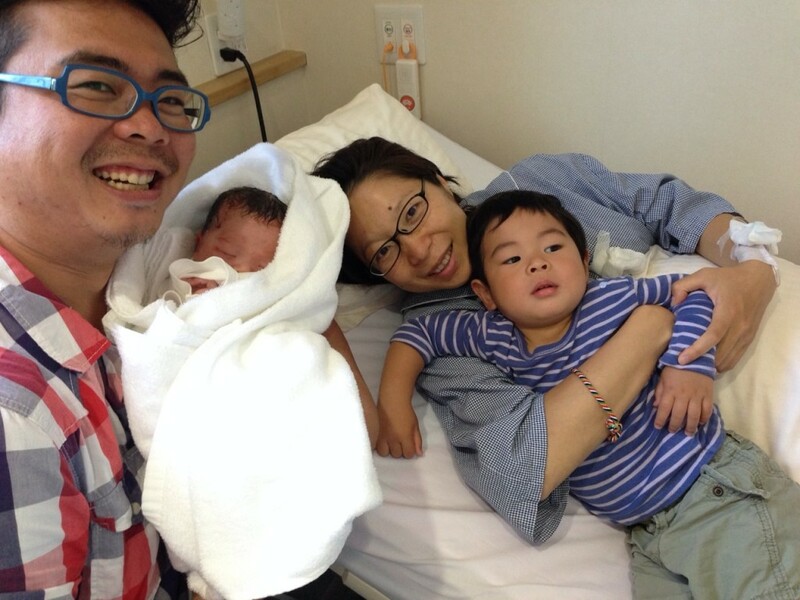 Aiiku is another hospital that is popular with foreign mums having c-section (with Dr. Sakamoto). By the way, as my pregnancy is with high risk, who was the most professional dr in nisseki? Thank u so much for ur great information. 1. 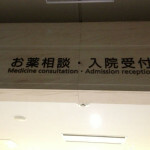 I can’t speak Japanese, so is Nisseki hospital english speaking friendly? 2. Will they let my husband stay with me during delivery (normal or c-section)? 3. Once I confirmed with Nisseki, should I transfer immediately for prenatal check up or I can do it after my 34 weeks pregnancy? Thanks a lot if you can help me. I’m a bit confused right now since this is my first pregnancy & it’s difficult since I can speak Japanese. Hello Kate, i would like to know can you speak Japanese? 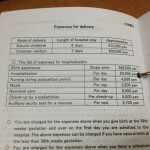 is it convenient for those ppl who cant speak Japanese to have pregnancy appointments and deliver at Nisseki? is it possible to make appointment with an English speaking doctor? 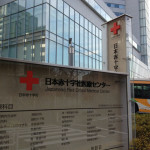 I can’t speak from personal experience but my Japanese wife is pregnant and attending Oomiya Red Cross Hospital and I find from talking to her- she won’t let me come with her and she has good English- the service is disgrace. They give no useful advice. They are most interested in getting your money not even doing the paperwork right. Due to being old she has no choice of hospital. They seem to do the minimum number of tests. They didn’t even do blood checks when she went first.